Howard S. Jones, Jr., retired engineer and scientist, was chief of the microwave research branch at Harry Diamond Laboratories, U. S. Department of the Army. Dr. Jones designed and developed state-of-the-art microwave antennas, electronic components, and devices (waveguide, coaxial, and stripline) for use in communication systems. He also served as an advisor to electronic and radar systems designers on matters relating to antennas and microwave system hardware. He received a B.S in mathematics and physics from Virginia Union University, an M.S. in electrical engineering from Bucknell University, and several honorary degrees. He served as a consultant and advisor for the National Science Foundation and the National Research Council. 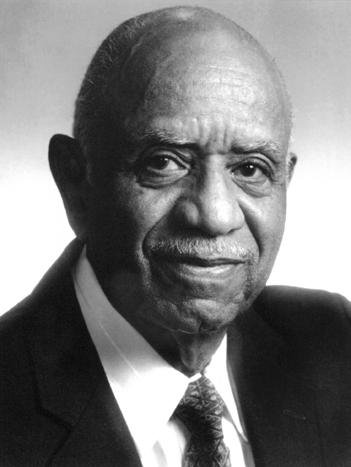 Dr. Jones was elected to the National Academy of Engineering in 1999. He currently holds thirty-one U.S. patents (as inventor or co-inventor) and is the author of more than forty publications.